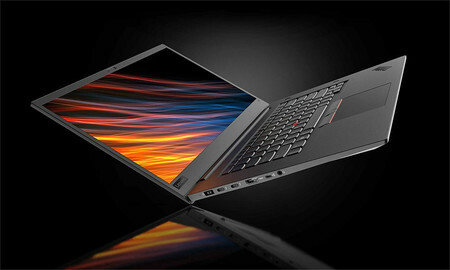 Stores that sell laptops are getting giddy over Lenovo’s newest addition to their ThinkPad line-up, the ThinkPad P1. It is the brand’s slimmest and lightest mobile workstation yet. The ThinkPad P1’s perfect combination of style and performance certainly brings a powerful punch against its competitors. Lenovo is known for pushing boundaries and pulling strong blows against other laptop makers. So when the company proudly launched the newest addition to its product line, tech experts, gadget fanatics, and its competitors were all ogling the newest gadget in the block. The ThinkPad is already an iconic high-performing laptop line, so it’s no wonder that people expect much from the new ThinkPad P1. And Lenovo certainly did not disappoint its fans. Aside from the ThinkPad P1’s sleek style, it also boasts of having a 35% smaller and lighter power supply. Making gadget enthusiasts love it more! For us to see what the buzz is all about, here’s a blow by blow account of the style, the power and the strength of Lenovo’s new ThinkPad P1. Gadget lovers are definitely digging the high-end design of the ThinkPad P1. Who wouldn’t go gaga over its beauty? With its 4K UHD resolution in its 15.6-inch touchscreen display and its signature black finish, users feel a sense of sophistication. Its elegant feel is carried all throughout the seamless ergonomic keyboard and glass touchpad. Encased in an ultra-thin 18.44 mm/ .72” thin carbon fiber and magnesium alloy exterior, this little beauty certainly makes a strong visual impact. This little gadget may look pretty but its black carbon fiber chassis can rough it out with the elements. Lenovo explains that their newest addition has the same strength as the ThinkPad X1 Carbon Series. It can withstand different kinds of environment, whether hot, cold, or humid conditions. It can also resist other harmful environmental factors such as dust and fungus, which makes this little gadget not only beautiful but also a toughie. Lenovo brags that the ThinkPad P1 passed military-grade testing and underwent 200 quality assurance tests to make sure it is able to withstand the toughest conditions. Aside from being packed with all those wonderful features, the Lenovo ThinkPad P1 also has strong connectivity features. It has multiple Thunderbolt ports, in addition to the USB 3.0 and HDMI ports. All these features make the Lenovo ThinkPad P1 the better option for a mobile workstation. Tech enthusiasts are not only approving of the ThinkPad P1’s exterior look but also of what’s inside. It is certified for key ISV applications and hosts 8th Gen Intel Xeon and Core processors and comes with the most modern Nvidia Quadro P1000 and P2000 graphic cards. It can also have a RAM of up to 64GB and can have NVMe SSD of up to 4TB. In addition, it also has an infrared camera and Bluetooth 5.0. All these specs combined boosts higher performance compared to its predecessors and competitors. If you are thinking of getting a new laptop that’s lightweight but is power-packed in performance, the ThinkPad P1 may be the laptop you’re looking for. It is expected to be out in stores by the end of this month with prices starting at $1949. With its compact design and strong performance, it’s a win for Lenovo ThinkPad 1!